We’re always mentioning bird ringing here at Minsmere, and it’s only just occurred to me that not everybody will know what we mean by this. 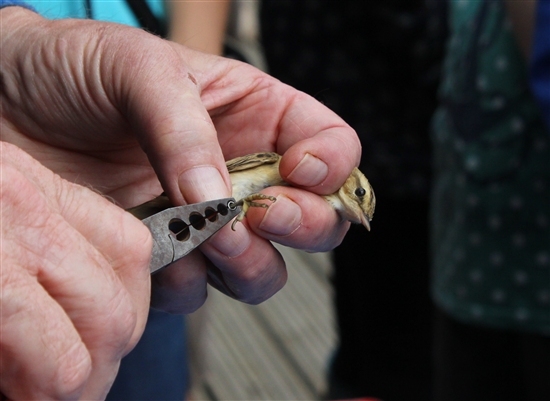 And to be honest before I joined the RSPB I had no clue about what it entailed either, so this week my blog is going to be a dummies guide to: bird ringing. Giving a bird a ring is a brilliant way of providing us with key information about populations and species patterns. Each ring has a particular number; therefore we can find out if a bird has been spotted elsewhere, and even track it along its route of migration. Ringing also helps to gather data on survival rates and the success of breeding birds by seeing how many chicks are fledging the nest. It’s invaluable data, and helps us to inform the conservation work that we do. 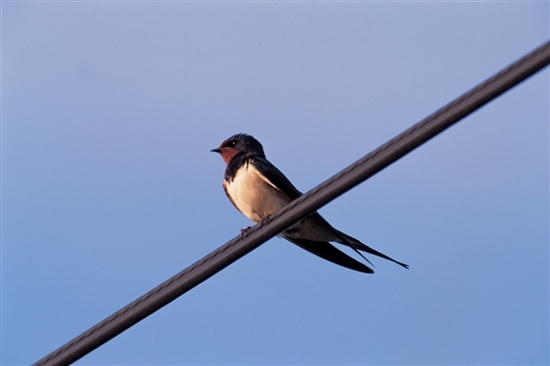 A close look at a bird can provide lots of key information: its age, whether it is male or female, how well fed it is, and how far it might have travelled. A key piece of information is finding out how much the birds weigh. As an audience member at my first ringing event, I was lucky enough to see a goldcrest (the UK’s smallest breeding bird) being handled, and this came in at around 6 grams. Just to put that into perspective - that’s about 1/30th of the average green woodpecker, and the same weight as a 10p coin! Amazing to think that these little birds can survive the cold British winters. 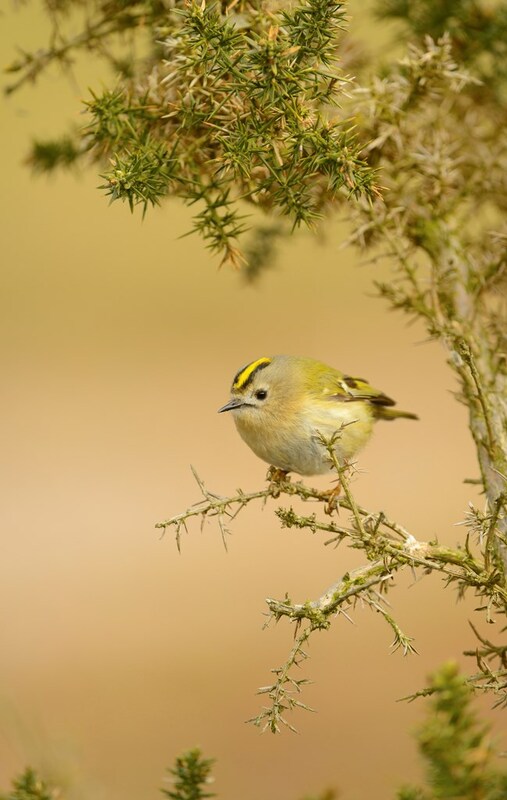 Ringers are able to age the bird by measuring and examining its feathers, as well as checking to see if it is in moult. Birds are then given a ‘fat score’ from 0-6 (luckily they don’t seem to be sensitive about this!). The ringer blows gently onto bird’s clavicle patch so the fat store under the feathers can be seen. The larger the cushion of fat, the higher fat score it gets. It’s a score from 0-6 and can give us an indication into the bird’s life. A high fat score and strong pectoral muscles can often be a sign that the bird is piling on the pounds before a long migration! There’s so much we’ve learnt about birds as a result of ringing. In the early 1900’s it helped us to discover that swallows migrate to South Africa – rather than hiding at the bottom of a muddy pond which was an earlier explanation! Ringing at Minsmere is done throughout the summer with a group of volunteers from the Waveney Bird Club. They are a vault of knowledge and expertise, with decades of ringing experience between them. 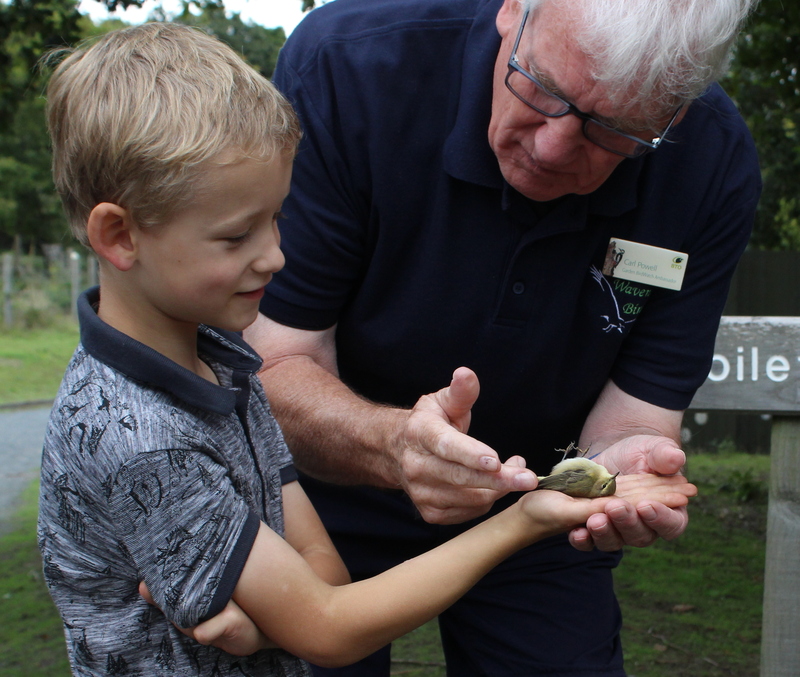 Their demonstrations give special insight into both common and rare species, and allow families to get up close and personal to some of their favourite feathered friends. This Thursday is the final week of demonstrations for the summer holiday, so make sure to pop down and say hello!